during a meeting i had with kenny, he mentioned a pre-registration party for the event in SF. if you happen to be in the city, then you should head over to chrome SF and RSVP- if you are of drinking age, you get 2 free drink tickets. but kids, just because there's a bar doesn't mean you're not invited- you can get buck with us too! 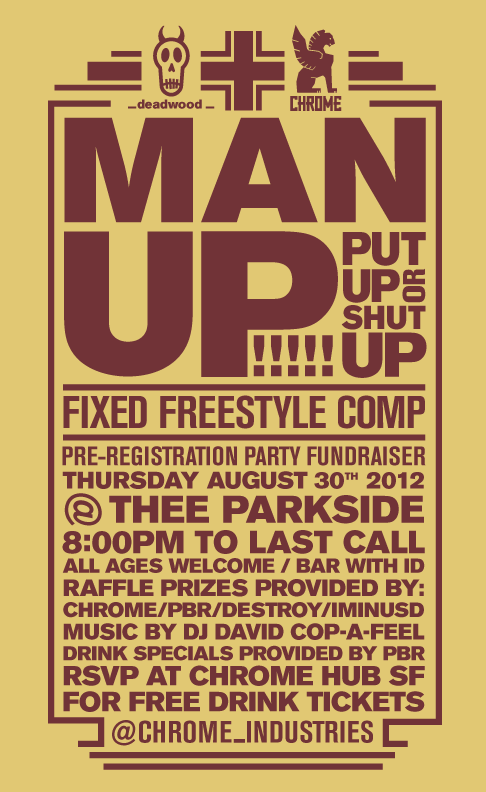 we got some sick raffle prizes and music by dj cop-a-feel (ha, i see what you did there). be there!